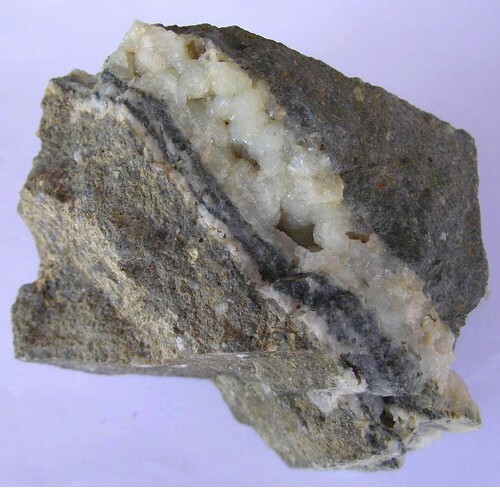 I've been a mineral collector since I was 14, in 1962. I started in New Jersey and was a member of the Trailside Mineral Club while in High School and college. I obtained geology degrees at St. Louis University (BS in Professional Geology) and Indiana University (MA in Geology) and lived in Kansas City and St. Louis before settling in Houston in 1977. I was a member of the Kansas City Gem and Mineral club and the St. Louis Gem and Mineral Society. I've been a member of the Houston Gem and Mineral Society for 39 years, and currently hold the positions of Mineral Section Chairman and School Collections Chairman. I'm active on the club show committee and have run the swap area at the annual show for over 25 years. I am the Dealer Chairman for the 2019 Annual Show. My collecting interests are many and varied, but in the past few years I've concentrated on collecting prehnite from the East Coast of the USA and worldwide localities and also stilbite, apophyllite and heulandite. 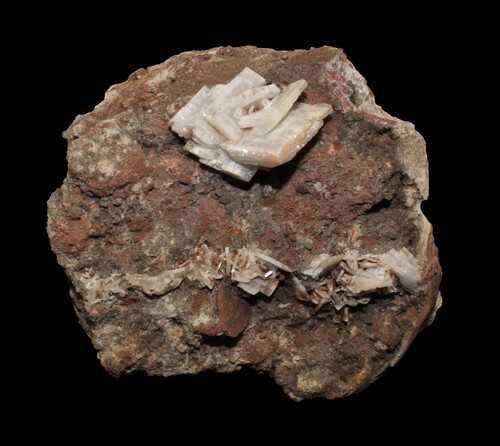 In the past I've assembled collections of Viburnum Trend minerals, Pea Ridge Mine minerals and Arkansas minerals. 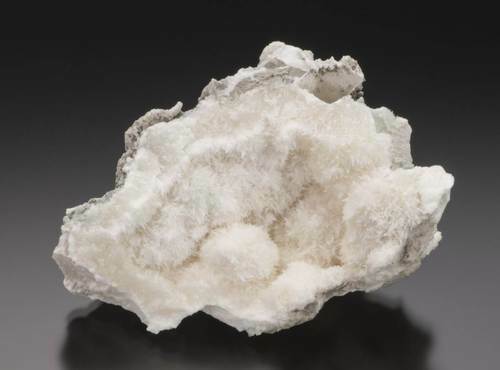 I also collect calcite, fluorite and occasionally galena. Over the last three years I have increased my collection of Texas minerals. 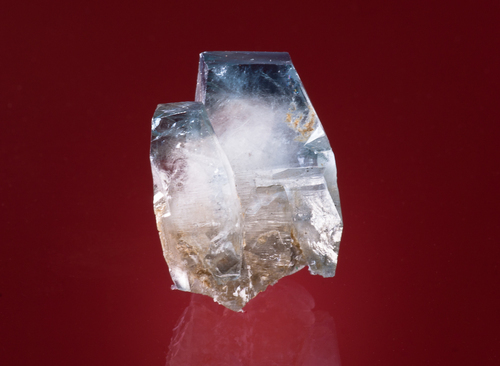 I am an experienced mineral photographer with over 25 years experience shooting slides of minerals. I am now working with digital images using a Nikon D7200 and a MicroNikkor 105mm lens. My photographs have been published in Mineral News, Rocks and Minerals and The Mineralogical Record. They also appear in the privately published Collecting Arkansas Minerals by Art Smith. I have done the show advertisement photography for the HG&MS for the last 10 years, including 6 years postcards. I have also done the photography for the 2006, 2007, 2008, 2011, 2012, 2013 and 2014 Show Posters. In 2000 I started a mineral business, Truscon Minerals, which remains active today primarily doing local mineral shows. My website, trusconminerals.com is currently under construction. Future sales on the internet will be through auction sites managed by dedicated web services. An active field collecting interest currently is Texas petrified wood, which is reasonably abundant within 100 - 200 miles of Houston. This wood is primarily Eocene and Miocene age and most is not of cutting quality, though they make good display pieces. An exception is snakewood, a rare softwood with a unique grain structure. I have found several pieces of this rare wood (about 1 for every 1000 pieces I've picked up or collected) and my wife Sigrid cut a cabachon from one and had it wire wrapped for my 60th birthday. While I usually wear prehnite to mineral club activities, the snakewood piece has now become a regular item around my neck. I like studying the occurrences of Texas petrified wood and understanding the geology of the formations where it is found. Since Sigrid is a lapidary as well as a mineral collector, I have begun collecting agate in South Texas and bouquet agate in West Texas. In 2010 I found a 70 lb moss agate in the Davis Mountains that has produced some nice slabs. I am active on the photo sharing site Flickr.com under the name stone_singer48. There I have posted mineral photos from The American Mineral Treasures Exhibit and the 2008 Tucson Show. I have also posted photos from the 2017 Tucson Show and the Midwest Minerals exhibits. 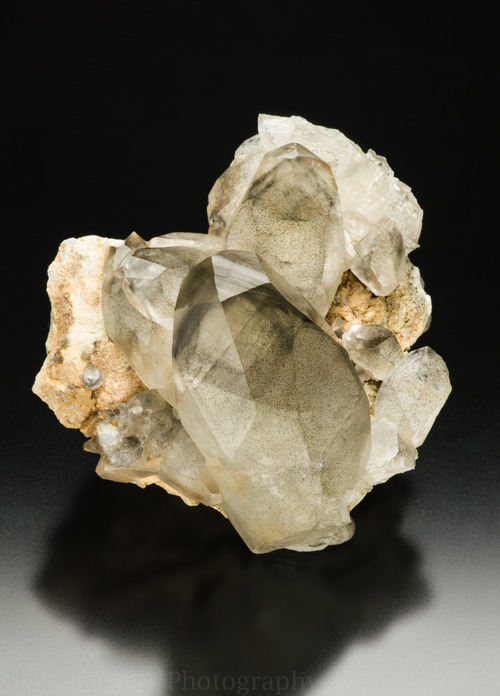 I also have mineral photographs from my collection and others posted. Please visit if you want to see my photos, since not all of them have been posted to Mindat. This site also has photos of my HGMS club activities and petrified wood field trips. 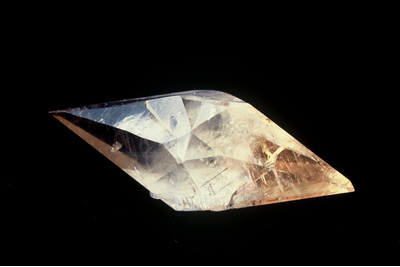 I am the moderator of the Houston Gem and Mineral Society group pool on Flickr. 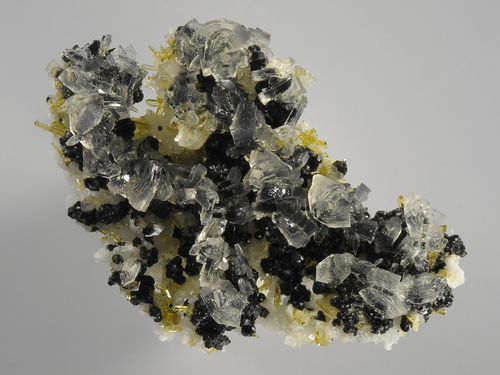 This page lists Stephen C.'s favourite minerals, localities and photos. All lists in alphabetical order. 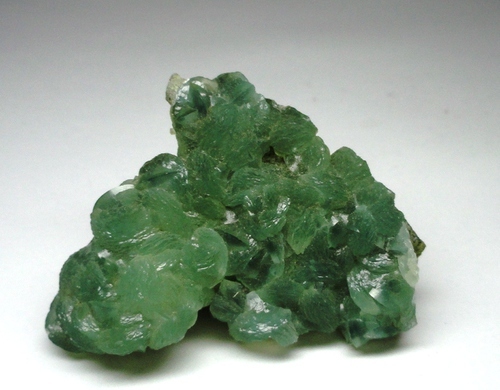 This specimen features several translucent/gemmy, lustrous, water-green color radiating aggregates of Prehnite associated with dark blue-green Chrysocolla spherical aggregates which are sprinkled over the surface. 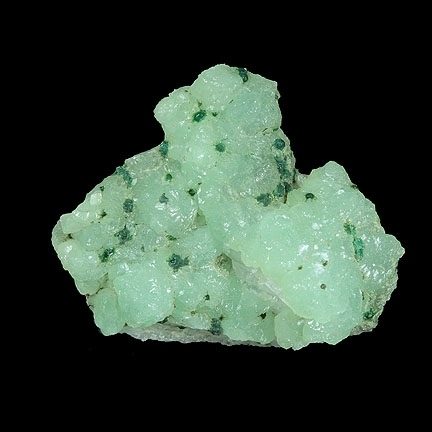 It is not terribly common to find isolated Chrysocolla aggregates, and although these are somewhat weathered, the association with unusual and attractive to be sure. This locality seems to be producing less material than a few years ago. 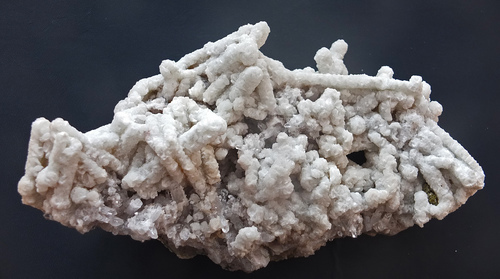 2.5 cm barite crystal cluster on mudrock collected in 1978 near Rte. 18 by Ralph Dames. 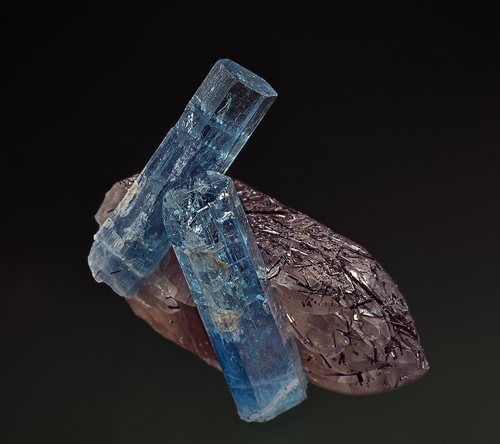 A pair of aquamarine crystals attached to smoky quartz included with shorl.